Flowers and seasons are bound together tightly, and everyone understands that the weather conditions deeply affect the cycle of growth of every plant. Some flowers prefer a warmer climate while others can live even in a colder one. The amount of water they get is also crucial for their survival. Different types of flowers bloom at a different time of the year, and if you want to enjoy the beauty of your favourite flower in the winter but it blooms in the spring, for instance, it would be hard to find it and expensive to purchase it. Nevertheless, there are some flowers that blossom throughout the whole year, and those who like them are lucky to be able to find them whenever they want to. Today, with the development of science there are various techniques that can be used in order for the out of season flowers to be grown artificially so they are available all year round. But as you can guess, these modern technologies require the use of additional resources, which can respectively add to the final price of the Seasonal Flowers. It’s either this or the flowers you want to buy will be imported from a country where it’s the appropriate season for growing them. In both cases it would be easier and more advantageous to order flowers that aren’t off-season where you live. Thus you’ll be able to have them at a reasonable price. And if you decide to order your Seasonal Flowers from Flower Shops, you’ll see how affordable our flowers can be. If you have to organize an upcoming event and you want to use many flowers to decorate the background, choosing off-season flowers wouldn’t be a wise approach because you’ll have to spend a serious amount of money on them. If your budget is scarce, you might want to consider a different choice of flowers like the ones that are actually in season right now. So, let nature do its magic and use the flowers that are created out of it, that is, the seasonal ones. We’ll make sure that the wonderful flower bouquets and decorations we make with seasonal blooms will look flawless, fresh and magnificent. That’s how it is with us not just sometimes but always. Rest assured that everything for that special event of yours will be arranged and prepared down to the smallest detail so that your party can go smoothly. We pointed out the reasons why off-season flowers aren’t practical for an event that requires the use of many of them. But this doesn’t mean that you’re not allowed to have them if you want to. Many people would name summer as their favourite season if polled, which is why we want to emphasize the flowers that grow then. 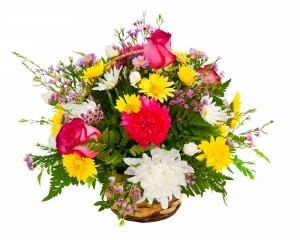 Summer Seasonal Flowers are remarkable for their variety during the whole season from May till October. Have you ever had the chance to visit your grandmother’s garden in the summer? So many colours can make your eyes roam from one blossom to another, from one hue to another, until you are full of delight. You can transfer this abundance of shades into one single flower bouquet made by our dedicated and also very gifted flower arrangers. They will approach every order individually and will as much time as necessary to make your bouquet of in-season flowers look as perfect as possible. You just have to name the type of flowers you want in it, and they will become part of a breathtaking combination. 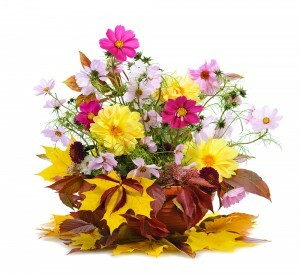 The flower delivery services of Flower Shops are reliable, and you’ll find yourself wanting to use them again and again. Ringing us up on ‎020 3900 2440 is the easiest thing you can do.